If you have no idea what conveyancing entails, you find yourself in good company of an Appellate Judge who once referred thereto as "the mysterious procedures, known only to Conveyancers and Officers in the Deeds Office, which are involved in transferring titles to land where successive transactions are simultaneously registered!" In order to weave the magic of the "mysterious procedures", a Conveyancer, after being admitted as an attorney, has to specialize in this area of the law relating to property, as only an admitted Conveyancer may execute the registration of any dealings with property, such as the transfer of ownership, or the mortgaging of property under a bond pursuant to a loan of money. A Notary Public is a specialist admitted attorney who is also admitted as a Notary Public and has specific powers to attest to certain acts of law. The office of a Notary is a highly respected office of trust. Notaries often attest to the authenticity of signatures and certify the authenticity of copies. Registration of formal change of a name of a person or legal entity by means of prescribed application. Opening of Sectional Title Registers for a Developer after he/she received approval of a draft sectional plan by the Surveyor-General, to apply to the Registrar in charge of the Deeds Registry in which the land comprised in the scheme, in respect of the land and building or buildings in question, and for the registration of the said sectional plan. Opening of Township Registers with the purpose to convert the land on which the township is to be established into streets and erven as depicted on a general plan. Drafting of Antenuptial Contracts which are entered into prior to the execution of a marriage or civil union. They are typically concluded by the two spouses as a mechanism of stipulating the terms and conditions regarding their private and joined property. These agreements may include provisions for support of spouses, property division in the case of dissolution of the marriage, and the termination of the contract. Notarial Bonds as a form of security attached to movable property, which grants the property owner real rights over this property. It essentially provides security for all the assets covered in the bond. Taking out a notarial bond allows the creditor to acquire control over unsecured claims. Servitudes as a limited real right over the immovable property of another, for certain privileges of use and enjoyment of that property, while limiting the ownership of such burdened property. They enable people to develop long-term plans for several purposes, such as shared land use, right of way, commercial development, and so forth. A servitude is binding on the property owner and the occupants of the land. Notarial Certification and Authentications for South African documents for use abroad. Which country you intend to use documents in will determine the nature of the authentication process that you will have to follow. A fairly simple two stage process can be followed when you intend to use documents in a country that is a party to the Hague Convention dated 5 October 1961, where the country in which you intend to use documents is not a party to the Convention the process becomes more complicated. 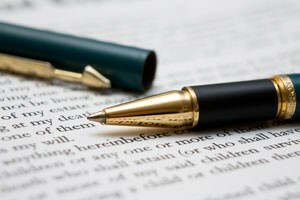 Drafting of Wills for the written recordal of instructions to someone (executor) representing a person’s last wishes as to what he wants to happen to his assets on death. An expression of gratitude, responsibility & concern for welfare of those left behind. Ns. Please note that any reference to "property" pertains to conventional, as well as (where applicable) sectional property.